Russell County Industrial Park is an optimal location for an industrial or manufacturing facility. 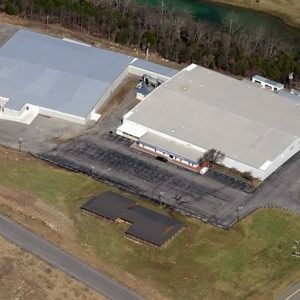 Just 20 miles from major Interstate 81, the park, zoned industrial, has a 4.5-acre site available for construction and two existing facilities (Russell Place & Buster Brown) ready for occupancy or renovation. All are part of this 60-acre development, which currently contains several other important state, regional, and national entities: Ludaire Fine Flooring, Schwan’s Sales Enterprises, Tri-State Energy Service Inc., Appalachian Gas Service Center and the Virginia State Police Investigation Office. Russell County Industrial Park offers a high level of inland security and access to major U.S. cities. The location also has on-site provision of public water and sewage and access to CPC OptiNet, a fiber-optic infrastructure capable of tier-4 data center performance. Electrical and broadband redundancies are also possible. In addition, a child daycare center, Honeytree Day Care Center, operates in the park.